A Victory away from Home will Settle Nerves! For Barcelona, a victory at one of the toughest grounds in Europe would be the perfect result. Regardless of how tough it is! Anything less than an outright victory will complicate matters at home. Especially when things go difficult. Victory against Manchester United, that too away from home is easier said than done. Especially, against the side under Solskjaer! They may still have their weakness, but the spirits of the 'Red Devils' have been re-discovered and that's something to be wary of. Barcelona without any doubt is the better team on paper and when it comes to man-to-man comparison. But then the games are not played on paper, and those statistic counts for nothing on the field. The likes of Rashford, Pogba, and Martial have instilled a lot of energy into the attack; something Barcelona need to take care of. 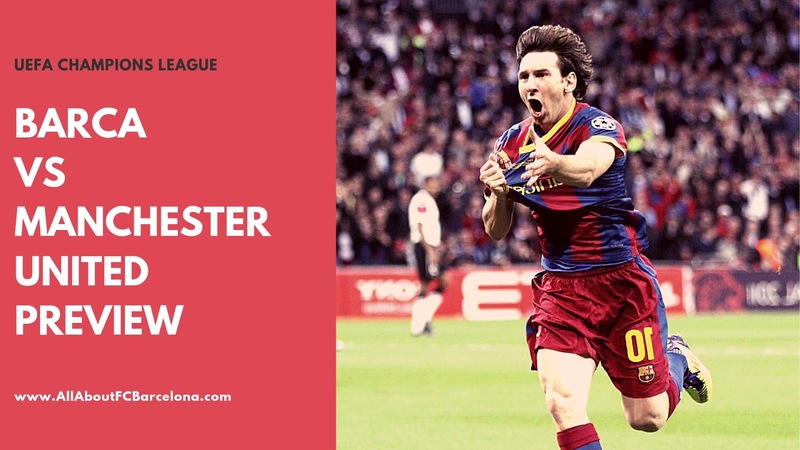 In a way, Manchester United would be one team Barcelona would have like to avoid. They play a fast-paced style, with lots of energy, and with lots of threat in the air. These three factors have been the one which troubled Barcelona this season so far. Barcelona has never won at the Old Trafford in Europe. And if they want to change that, they need Lionel Messi in inspirational form. Our last away game was against Lyon and that ended nil-nil. But we cannot afford to have that kind of scoreline against Manchester United. A victory is a must, if not at least a couple of away goals advantage! Without a sizeable advantage, Barcelona could suffer in the second leg at Camp Nou. Manchester United has already shown against PSG that any kind of result is not a problem for them. Barcelona should be wary of that spirit. Barcelona is expected to start with the usual 4-3-3 formation. Roberto, Pique, Lenglet, and Alba should make the defense. The midfield should have Arthur, Rakitic and Busquets. In attack, there shouldn't be any surprise - Messi, Saurez, and Coutinho.